100% Guaranteed Inbound Marketing Services! We perform or you get your money back! That's how confident we are that we will improve your web site traffic and leads! 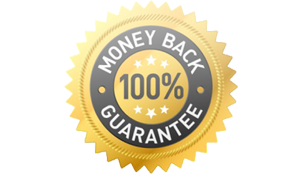 If after being under contract for any of our Inbound Marketing Packages for 24 months, we have not DOUBLED your web site generated leads, then we will refund 100% of your payments to you in the same manner they were paid to us. If you don't currently have any leads coming in from your web site, don't worry, we will work together to determine a reasonable amount of leads that you expect and for us to deliver for our Guarantee Agreement! NOTE: This is NOT an SEO Ranking, Position or Traffic Guarantee. This is based on our ability to deliver Leads to your company. We cannot guarantee search engine ranking positions for any particular keyword or phrase and you should avoid any SEO agency or firm that promises you search engine rankings.